This page gives a quick look at different printing methods which can be used in photography. I've always enjoyed printing my own photos on my inkjet printers, as well as doing some black and white printing in the darkroom, and sending off for professional prints. Lightjet, or Chromogenic printers, are digital printers which use traditional photo papers and chemicals. Sometimes they can be better than inkjet. Sometimes they can be worse. It tends to depend on who you ask. It also depends on who made the print. I like being able to capture lots of detail in my photographs. Unlike a lot of people, I like to look at the minute details; the individual people in a crowd, the individual blades of grass, the individual bricks in a building etc. Here's a crop from a photo of a local church (Rotherham Minster). The JPEG is straight out of the camera (Canon EOS 500D, EF28-135mm). Pay attention to the detail around the clock. There is a pattern behind the hands, and the roman numerals and easily be seen. Here's what the inkjet print of this photo looks like. The print was made on Canon Photo Paper Plus, on a Canon Pixma IP4000. You can see a bit of grainyness. This is a limitation of the inkjet printer; it only has four colours and has to dither them. 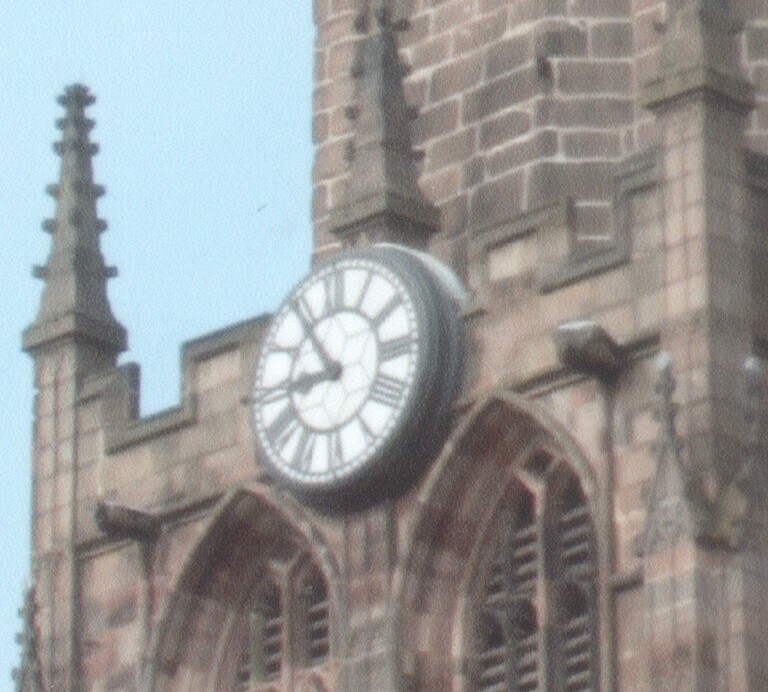 Nonetheless, you can see the detail in the clock very well. Now, here is the same photo, printed by Peak Imaging in Sheffield. They use Chromogenic/Lightjet type printers, though I'm not sure of the exact models. When I got this print back from Peak, being the very picky person that I am, I immediately noticed that it lacks some of the detail that can be seen in the inkjet print. I'm not entirely sure why. 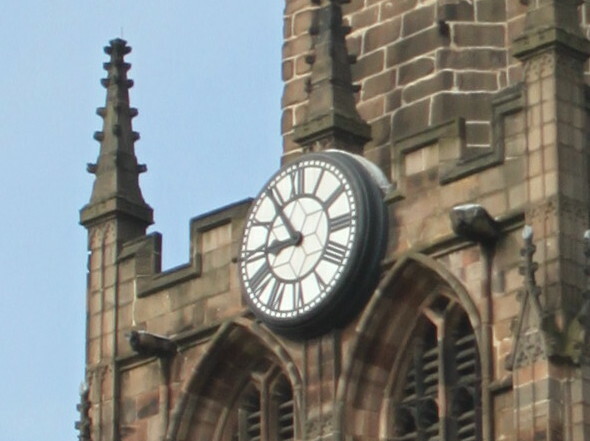 Perhaps they upped the contrast too much and this reduced the clock detail? Or perhaps their printers don't have enough resolution? (Though I'd have thought Peak's 250 odd DPI would be adequate). Of course, with the Chromogenic print, there is absolutely no grain. Becauae of their 'continuous tone' nature, they don't need to dither the colours like an inkjet printer does. I'd also say that the colour is better on the Peak print. You can't quite tell on the above snippets, as they are scanned, and I didn't put much effort into scanning them, but hopefully you can see the differences. Which is best will depend very much on personal preference. Do you prefer the detail, or the continuous tone? Could we improve the Peak print anyway? Perhaps a more modern inkjet printer would do a better job. Overall, I think I prefer the Lightjet prints, though I certainly wouldn't mind a bit more detail. However, I do have quite a lot of photographs where this detail doesn't really matter much.